Visibility is essential for leaders in times of trouble. For those of us who avidly devour media coverage of major events, certain personalities become indelibly embedded into our memories. In the Manchester bombing, for many it was homeless Chris Parker, who rushed to help victims, or Tony Walsh, the poet whose rendition of his brilliant eulogy to his home city “This Is the place” to the mourning crowds moved many to tears. For the Borough Market attack. Roy “I’m Millwall” Larner will be a memorable hero for tackling the rampaging knifemen. Arising from the awfulness of the Grenfell Tower tragedy, there are several figures we will forever associate with the horrors that unfolded. 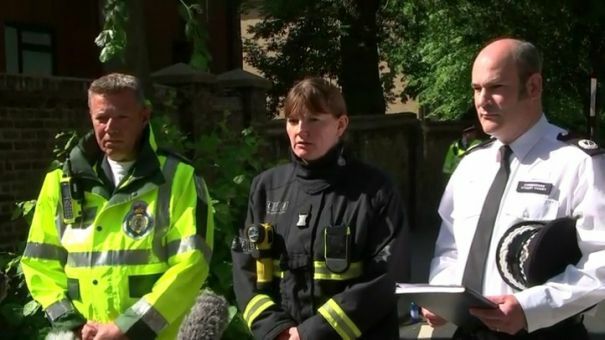 There was Dany Cotton, the hugely impressive Commissioner of the London Fire Brigade, always striking just the right note of authority and empathy during her daily press conferences, and always acknowledging the bravery of “my firefighters”. The sight of The Met’s Commander Stuart Cundy struggling to control his emotions in front of the cameras will also linger. For different reasons, the memorable reaction and performance of Theresa May, Jeremy Corbyn, Sadiq Khan and Sajid Javid will be pivotal to their careers in the future. Amongst this roll call of those whose responsibility was to lead from the front was Nick Holgate. A fair question. 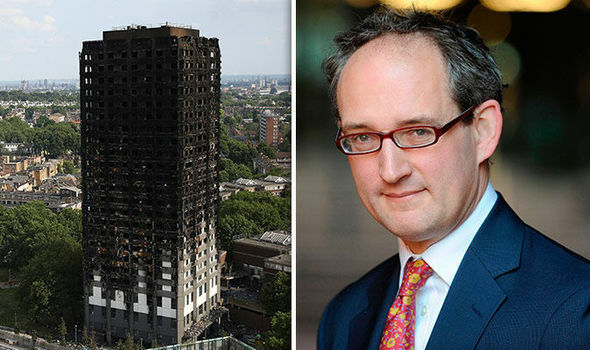 Nick Holgate was chief executive of Kensington and Chelsea Council, the local authority responsible for Grenfell Tower. I say “was” because he was fired (or, more precisely, “asked to resign”) a week after the fire. Kensington and Chelsea Council has been castigated for its inadequate response to the disaster and lack of visible support for the survivors. Nick Holgate begun to personify this invisibility. As far as the survivors and media was concerned, he was nowhere to be seen. The knives were out. The relationship between the full-time executive staff of a local authority and its elected members will always be a balancing act. The politicians should rightly take on what broadcasters call the “accountability” interviews, and the council’s elected leader, Nick Paget-Brown, manfully took on the role. But he clearly needed more support, and the media coverage was crying out for a voice from the council to say what was happening on an operational level. That voice should have been Nick Holgate. That he apparently failed to emerge from Kensington Town Hall throughout the crisis actually made him easier to sack. His passing, at the behest of the government, went largely unheralded. To date, he remains the only public scapegoat of the disaster. Yes, with leadership comes responsibility. But not just responsibility – visibility as well. In times of crisis, CEOs cannot lead from behind a desk. It is now widely accepted that a primary role of a CEO is Communicator-in-Chief, both to their people and the outside world, and leaders must embrace that skill-set. It is a tough job facing up to the outside world in times of trouble. Some will be better at it than others. But when you are CEO, there is no escaping. It is important you choose your moment to respond publicly to a crisis, or seek the right advice on when that moment should be. When I ran the press office at British Airways, I quickly found out – in common with pretty much all large organisations, and certainly all major airlines – that lots of stuff goes wrong when you run a complicated customer-facing business. More often than not, it wasn’t directly the fault of the airline and often the problem never went public. Some sort of crisis would be averted on what felt like a weekly basis. But when one of these issues did go public, there would be a clamour to hear from the CEO and the right decision had to be made on whether it was appropriate for him to face the media and/or public. My rule-of-thumb was that unless the issue was directly related to the business strategy of the airline or likely to impact on the share price, the CEO was kept under wraps. There were always capable departmental directors to pick up the baton instead. The one unwritten rule was that if there was ever a serious accident or fatality (which thankfully never occurred on my watch) the CEO would unquestionably step forward. However, this is not a course of action universally embraced throughout the corporate world. But it is clear, in a world that moves ever-faster due to social media and 24 hour rolling news, that invisibility is not an option. Theresa May found out that her lack of visibility to the survivors of Grenfell Tower has cost her dearly in reputational terms, perhaps terminally so. Nick Holgate has already borne the consequences before he had chance to think again. CEOs need to think the unthinkable, prepare for the worst, consider how they respond, and embrace the advice and training available. In today’s unforgiving world, they may not get a second chance.